Image Optimizer is a tool to optimize and compress PNG, BMP and JPG images to make your images smaller without losing quality. It has two optimizers: PNG optimizer and JPEG optimizer. The first one is a lossless optimizer, it used to compress PNG and BMP images so the image quality is not lost after compressing. 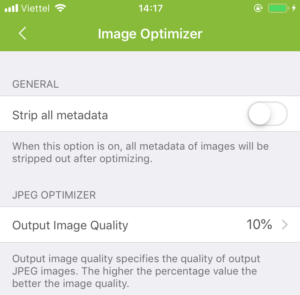 The second is not a lossless optimizer, it has an Output Image Quality option to let you determine the quality of output, the higher the percentage value, the better the output image. When this add-on is activated, a new Optimize icon will be available in Context Menu. 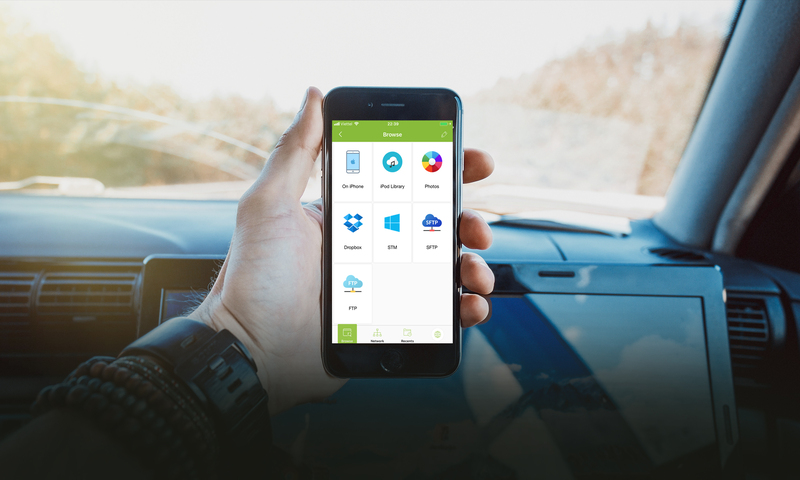 In order to see the button, you have to select an image file that has an extension PNG, BMP or JPG in Explorer screen, tap and hold the file for a few seconds then a context menu will be shown, tap on Optimize button to start optimizing (you can optimize multiple images at once or you can even optimize images directly in cloud services or remote servers). 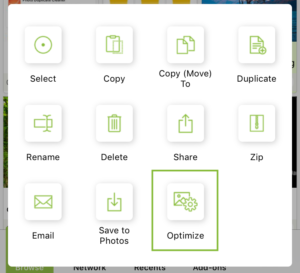 You can change the settings of Image Optimizer by accessing Settings in Sharing screen. When Strip all metadata option is on, any info of images will be stripped out after optimizing. The Output Image Quality option specify the quality output of JPEG images. The higher the percentage value, the better the image quality.